To say that knowledge of foreign languages is useful for librarians in the city public libraries is an understatement. And yet library schools are not preparing future librarians to deal with barriers to access resulting from foreign languages, and past research on the topic in library science journals has been sparse. 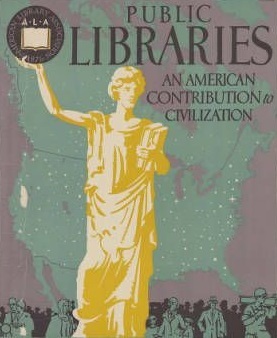 In order to understand this vital yet ignored part of public librarianship, I will analyze the different approaches that the NYPL and BPL take in developing foreign language collections, and I will make recommendations for future changes in the field. Despite their similarities, libraries and museums have different strengths and weaknesses when it comes to user interaction and accessibility. In order to increase accessibility to their collections and thus increase the knowledge production potential of the information sources therein, the two types of institution need not only to learn from each other but also to collaborate. This presentation will explore the current state of library/museum collaboration and explore some directions for future work, including bringing collaboration between the two fields into the classroom at the graduate level. A comparison of three contemporary libraries – Beinecke Rare Books & Manuscripts at Yale; Sendai Mediatheque in Japan; Seattle Central Library in Oregon. With Beinecke as the touchstone, a study of how the contemporary library incorporates a traditional book library and expands to include any/all other media and a community’s desires and expectations of the role of their library. 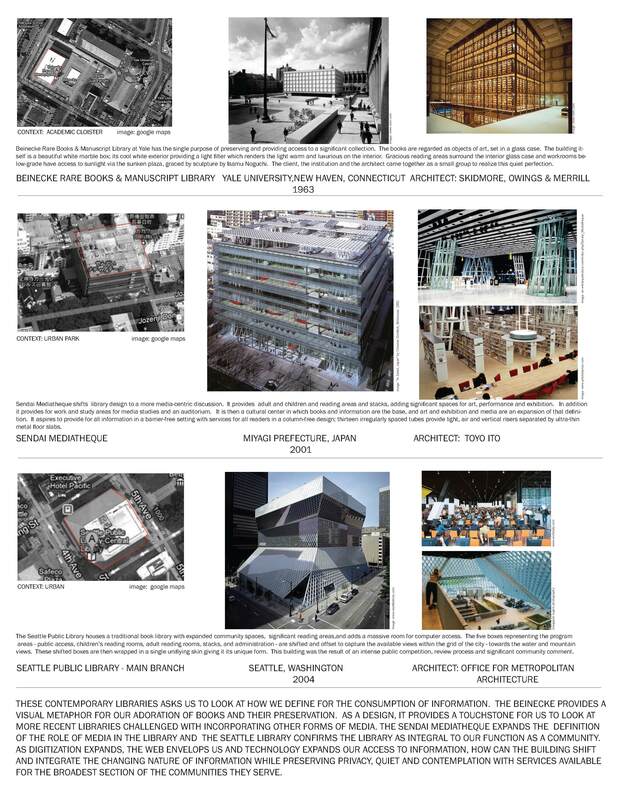 Intended to elicit further discussion and study of how modern libraries serve us architecturally. While technology has made digitization of books possible, the conversion to digital surrogates does not resolve the controversial question of where and how we should preserve our vast collections of original source materials.